With standout sets at major festivals like Bonnaroo and Austin City Limits in their home country, followed by a successful tour of the United Kingdom and Europe (where they opened for Sting in France! ), the band are taking the world one continent at a time. Next on their hit-list is Australia, where they’ll not only release their US hit album “Rivers In the Wasteland” on December 5 through Atlantic/Warner, but follow it up with a massive national tour. 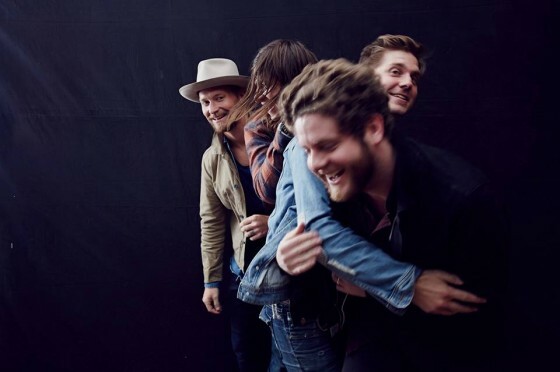 Supporting the charity World Vision, NEEDTOBREATHE will be taking on iconic venues like Sydney’s Hordern Pavillion, Melbourne’s Festival Hall and Brisbane’s Riverstage. Rivers In the Wasteland is the band’s first major release in Australia. The album’s lead single “The Heart” is a stomping southern rock n’ roll anthem reminiscent of The Lumineers and Of Monsters and Men, ushering in a new era for the band who after having spent much of their career increasing their production and largesse, are getting back to the essence of the songs.